So, how to apply Jamberry nail wraps? 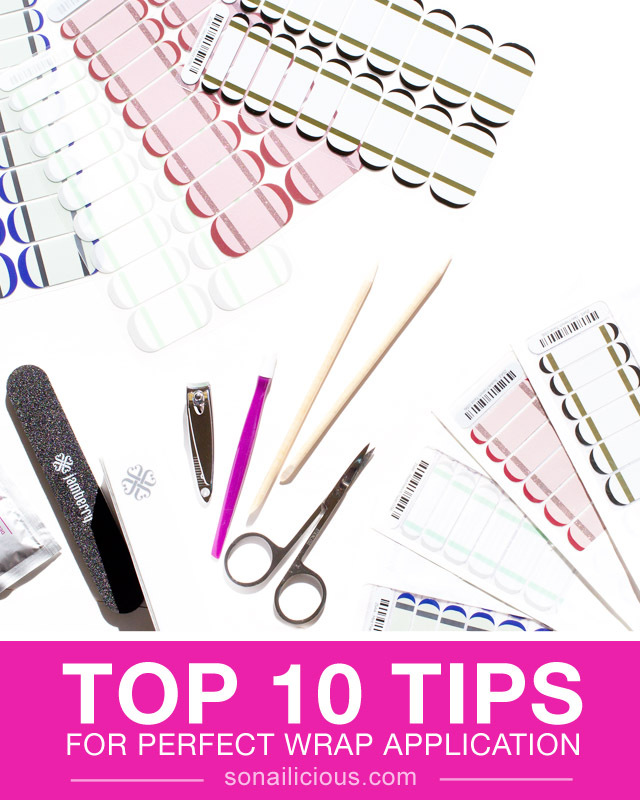 Here’s my top 10 tips for the flawless application of Jamberry nail wraps… But before we get started, I want to thank you all for the overwhelming support! The launch of the SoNailicious x Jamberry nail wrap collection has been a tremendous success. You stormed the Internet, in a true nail art warrior fashion and SoNailicious.com was overwhelmed by huge volumes of traffic. So much traffic in fact that our servers went down for a few hours, apologies for any inconvenience there. I have a huge bandwidth allowance to make sure the site stays up during the highest traffic spikes, but what happened last night was beyond any foreseeable levels. Anyways, the collection has now been revealed to the world and hope you’ve already obtained a pack or two of SoNailicious x Jamberry wrap goodness. Now, before you try to apply your brand new French Twist designs, please read these application tips carefully. 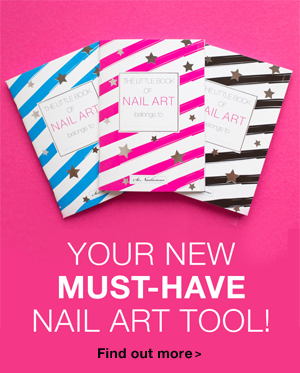 Each of the nail wraps are different and require slightly different approaches. These are extra long-lasting and the closest thing to a real manicure on the market, so to get them perfect, you’ll need a bit of extra effort to get the most from them but it’ll be well worth it! After a couple of weeks of road testing the range I learned quite a few tricks that will help you get the most from each style. So read on nail art warriors! The wraps are heat activated. So make sure you warm them up for for 3-5 seconds with a hairdryer or Jamberry mini first. This step is absolutely essential. After matching your nail to the nail wrap that best fits, cut it in half and use the other half for your second hand – same nail. It’s a very simple tip but many people forget and just use the whole wrap for one nail. Used properly, each sheet has enough wraps for 2 full set manicures and 1-2 pedicures. Avoid touching the sticky surface of the nail wrap when separating them from the sheet and when warning them up. Oily residue on your fingers can affect the adhesive layer and the nail wraps won’t attach properly. Use an orange stick or a pencil to pick up and warm the wrap. Like any manicure, rushing isn’t the best approach. Take your time, focus when applying the wraps and smoothing them out around the edges. If it doesn’t attached well first time, re-do it. This is essential, if not attached properly they may not last as long as intended. Make sure the surface of your nails is perfectly smooth before applying the wraps. You may need to buff your nails a little bit or use a ridge filling top coat to smooth them out. If your nails have a strong curve or if you attached wraps and you have some bubbles along the edges, heat up the nail with the nail wrap attached, smooth out the bubbles by pressing down and also slide a rubber cuticle pusher over the troublesome areas. Jamberry has a demonstration of this in this video. You can use the cuticle pusher from the Jamberry kit (the purple stick pictured on the photo above), your own cuticle pusher or even a cotton stick. Just don’t use orange wood sticks or anything hard, it may damage the delicate nail wrap. Use a glass file or soft buffer to file off any excess using a downward motion in one direction. No backwards/forwards movements and no harsh metallic files, they can tear the wrap edges. If you have dry or brittle nails, I suggest applying 1-2 coats of your favourite nail strengthener. The wraps have very strong adhesive layers and particularly dry nails maybe susceptible to damage when you remove the wraps. Which is brings us to the next tip. Make sure you follow the removal instructions (provided on the wrap packaging) precisely. I found the easiest and fastest way is heat them up with a fan and gently peel off each nail by using a cuticle pusher or orange stick to lift them up from one side and keep pushing till you remove it completely. Wipe off any sticky residue with nail polish remover. 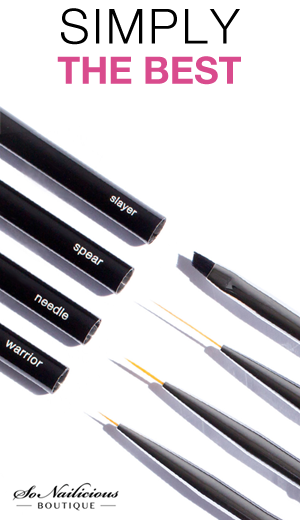 If you want an extra-glossy look, use a top coat. I found the top coat dries very quickly when applied over the nail wraps so it won’t add much extra time to your application but it will certainly add some extra gloss! So they’re my top tips! Do you have any tips for applying Jamberry nail wraps that we could add to the list? Brave Jamberry consultants, it’s your time to shine, share your wisdom with us in the comments below! P.S. 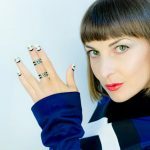 Want to see 3 brilliant Jamberry nail art ideas with SoNailicious x Jamberry French Twist collection? This way! P.P.S. This is not a sponsored post. This is me sharing my best tips with you, because I want you to get the most of your brand new French Twist wraps. Subscribe to our Weekly Newsletter or follow us via Bloglovin to stay updated.